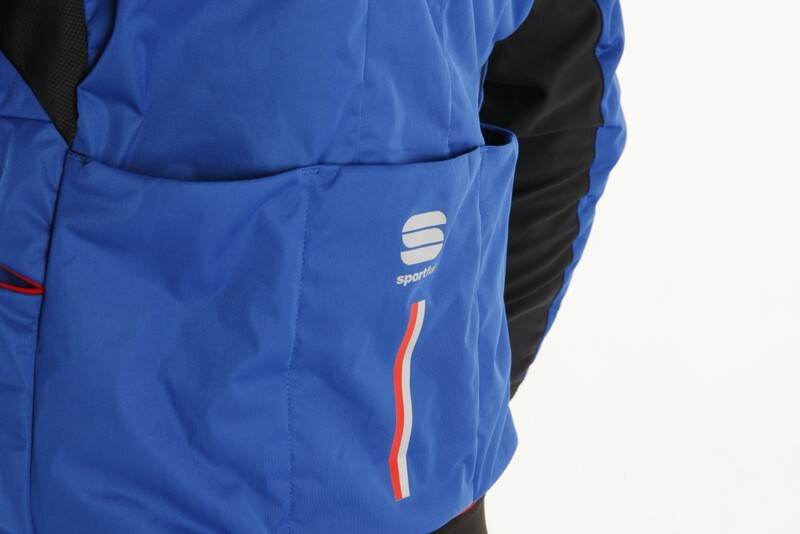 Cutting edge design from Sportful which creates a seriously warm jacket which should never leave you shivering. To cut to the chase, this is one of the best jackets we’ve had the pleasure of testing this year. The Sportful R&D Jacket will keep you lovely and warm on dry days when the temperature plummets, but is also impressively breathable to prevent you overheating when the time comes to up the pace. At the heart of the Sportful R&D jacket is the Polartec Alpha insulation technology. Originally developed for the US Special Forces, this technology has already found a home in the worlds of climbing and cross country skiing, but Sportful are one of the first companies to use it in a piece of cycling clothing. This technology gives the jacket a unique look, with the wind and water resistant outer fabric concealing an inner layer which almost has the look of a padded jacket, providing what Sportful accurately describe as ‘goose-down-like insulation’. What this means in practice is a superbly warm jacket with excellent insulation for the coldest of British conditions. In fact our tester even put the Sportful R&D jacket through its paces on the ski slopes of the French Alps, rarely feeling the cold even through full days with the mercury sitting comfortably below freezing. But back to cycling, and this jacket has become our outer layer of choice on cold dry days in the depth of winter. As with the Sportful R&D bibtights we tested recently, the wind resistance is close to impeccable, and the outer fabric, while not waterproof, is good enough to keep you dry in the face of the odd unexpected shower. The one worry we had at the start of our time with the Sportful R&D jacket was breathability – the thick layer of insulation on the interior definitely not looking like it would let unwanted body heat out in a hurry. Thankfully this was not the case, and as long as the temperature stayed in mid to low single figures, we didn’t experience too much overheating on the climbs. As for other features, the sturdy full-length zipper is concealed behind a flap for added protection from the wind and the four rear pockets are a decent size, although the bulky insulation can make them a little fiddly to access. The insulation is also a bit of a problem at the cuffs, which are too bulky to comfortably fit under gloves, but not elastic enough to pull over them. However these are minor quibbles that shouldn’t distract from what is an excellent jacket for dry and seriously cold conditions. For more details head over to the Sportful website. The Sportful R&D jacket has a novel design which provides excellent insulation for rides in truly Arctic conditions. 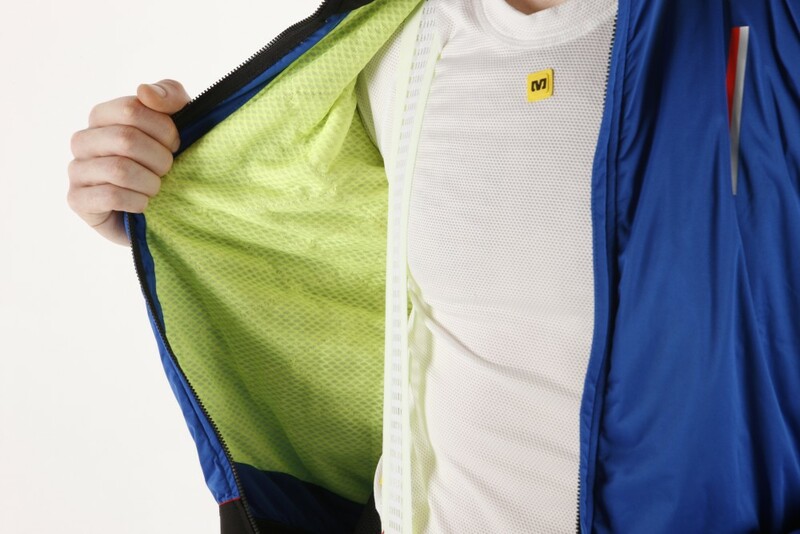 It may have the appearance of a puffer jacket, but manages to have good breathability for such a warm jacket.